COPEL: a tale of rebellion and dignity. Documentary by COPEL [Coordinadora de Presos En Lucha — Prisoners in Struggle Coordinating Body], former prisoners of the Franco and post-Francoist regimes. After a 40-year silence, our group, all former members of COPEL [Coordinadora de Presos En Lucha — Prisoners in Struggle Coordinating Body], reports on the role played by prisoners in Francoist Spain’s so-called ‘transition to democracy’ between 1976 and 1979. The process of Spain’s democratisation from dictatorship wasn’t a gift granted from on high following Franco’s death; it was taken from below by the direct actions of many campaigning movements, starting with the assembly-based wildcat strikers of the 1970s. The amnesty law, for example, was only secured as a result of countless street and prison rooftop mobilisations — and near permanent confrontation — with the regime’s riot police at the cost of a number of lives. 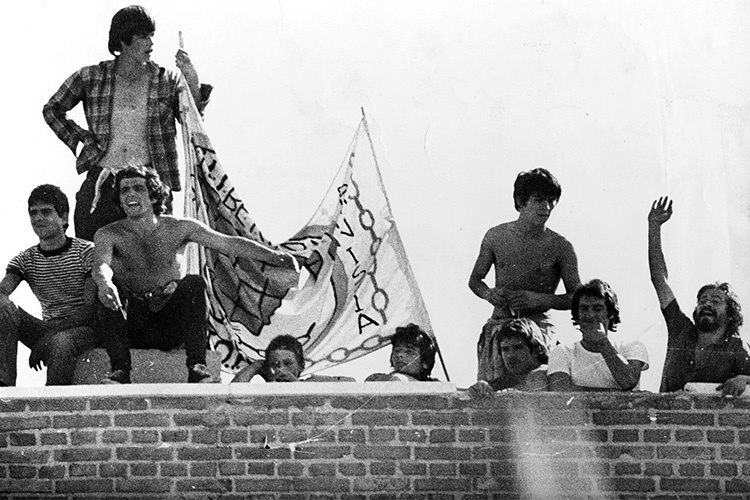 COPEL (Coordinadora de Presos En Lucha) emerged through spontaneous mobilisations by prisoners pushing for the amnesty law of October 1977 to be extended across the prison population; it developed as a rank-and-file body that gave voice and leverage to those excluded from the political process, and which challenged the State for more than two years, exposing its injustices and the inhumanity of society’s punitive machinery. This documentary, focusing on Franco’s and post-Francoist’s prisons and the plight of its prisoners, is told by the victims of the regime, activists who lived through those long years of struggle and who are determined to expose the truth about the nature of the regime and its penal system.